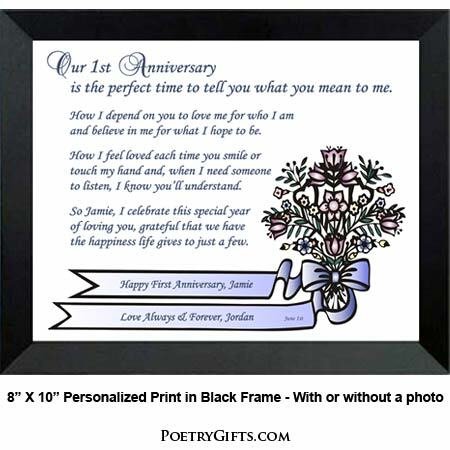 Flowers fade but this personalized gift is a perfect way to commemorate your "paper" anniversary. 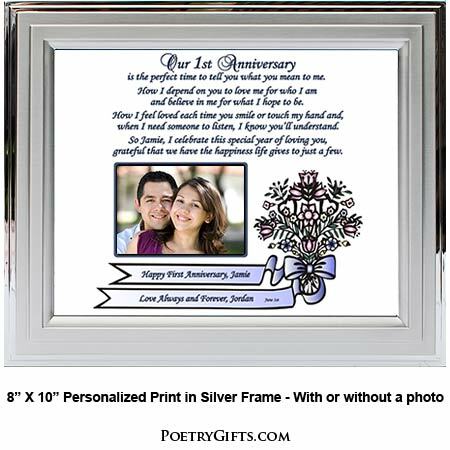 First anniversary gift for your husband, wife, boyfriend or girlfriend personalized with names, date and personal message. When you add a favorite photo of the two of you, this present becomes a treasured keepsake to be displayed and read over and over again. and believe in me for what I hope to be. 4.6 out of 5, Based on 3 Reviews. 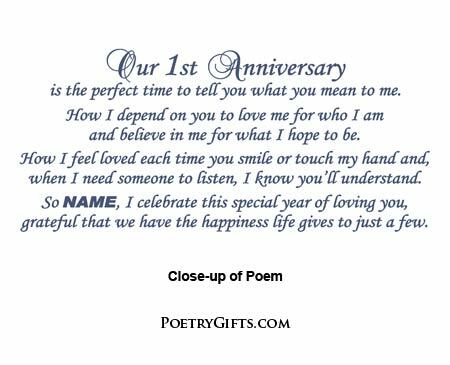 Wanted something special for 1st anniversary. This was different. Liked the poem. My wife really liked this gift. Thanks for making me look good. Lovely site. 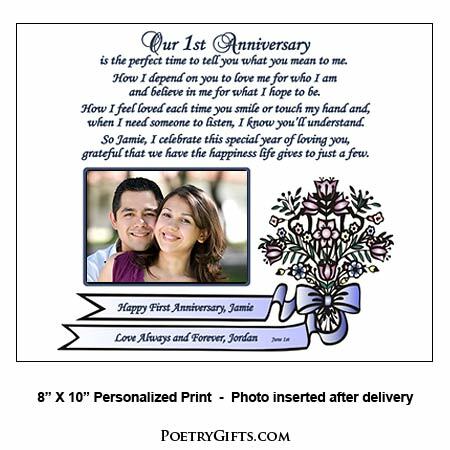 Finally, the perfect gift for the traditional first anniversary!